Container cargo volumes reached record heights at the Port of Long Beach last month, surging past the previous mark and distinguishing June 2018 as the port’s best month ever.Trade increased 14.2 percent in June, compared to the same month in 2017. The port’s terminals moved 752,188 twenty-foot equivalent units (TEUs), 4.4 percent higher than the previous “best month” record set in July 2017.Through June, the port has handled nearly 4 million TEUs. 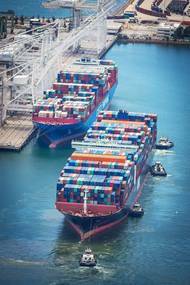 The figure is 14.5 percent above the pace set by 2017, the port’s busiest year ever. Cap-and-trade funds electric vehicle demonstrationAs part of its transition to zero-emissions operations, the Port of Long Beach will use a $5.3 million grant from the California Air Resources Board (CARB) to deploy hydrogen- and electric-powered cargo-handling equipment at two shipping terminals.The funds for the Commercialization of POLB Off-Road Technology Demonstration Project (C-PORT) leverage Long Beach’s place as the nation’s second-busiest seaport to test the viability of zero-emissions vehicles that are used on the docks. Marine terminals at the Port of Long Beach handled almost 1.9 million twenty-foot equivalent units (TEUs) January through March, leading the port to surpass its previous first quarter cargo record set in 2007.March throughput reached 575,258 TEUs, an increase of 13.8 percent compared to the same month last year. The quick start also placed cargo volumes 19.4 percent ahead of the first quarter of 2017, the port’s busiest year ever.“Our March cargo jumped despite the shipping slowdown during the Lunar New Year holiday in China,” said Port of Long Beach Executive Director Mario Cordero. 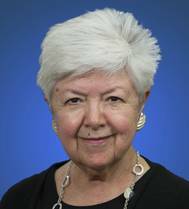 Ambassador Vilma Martinez will step down as president of the Los Angeles Harbor Commission on April 6. 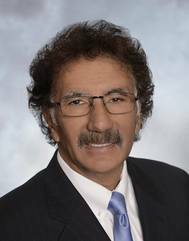 Since joining the board in 2013, Ambassador Martinez oversaw several major milestones, including consecutive years of record cargo growth and the development and approval of the 2017 Clean Air Action Plan update. She was also instrumental in the formulation of two Port five-year strategic plans, as well as in creating the Port’s Public Access Investment Plan that now provides a more consistent, predictable funding stream for non-cargo related public-serving projects and programs. The Port of Long Beach said its strong start to 2018 continues with a historic high in cargo volume for February following in the heels of a record January. During February, 661,790 twenty-foot equivalent units (TEUs) moved through the California port – a 32.8 percent increase compared to last February and the first time Long Beach terminals have handled more than 600,000 cargo containers in the month. Imports climbed 37 percent last month to 342,247 TEUs. The port handled 130,916 outbound containers, up 9.3 percent. 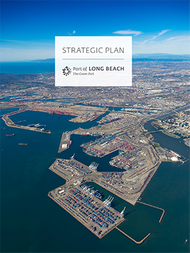 The Port of Long Beach has been awarded $2.4 million from the U.S. Environmental Protection Agency to help Stevedoring Services of America (SSA), Foss Maritime and Curtin Maritime replace equipment with zero-emission or cleanest-available equipment. The Diesel Emission Reduction Act money will enable SSA to retrofit three rubber-tired gantry cranes to all-electric operations, entirely reducing related emissions and diesel fuel consumption. The funds will also assist in retrofitting four tugboats operated by Foss and Curtin with the newest and cleanest engines available. The U.S. Environmental Protection Agency (EPA) has awarded $2.4 million to the Port of Long Beach to help replace several existing cranes and tugboats with new zero-emission or cleanest-available equipment. The Diesel Emission Reduction Act (DERA) money will enable Stevedoring Services of America (SSA) to retrofit three rubber-tired gantry cranes to all-electric operations, entirely reducing related emissions and diesel fuel consumption. The funds will also assist in retrofitting four tugboats operated by Foss Maritime and Curtin Maritime with the newest and cleanest engines available.